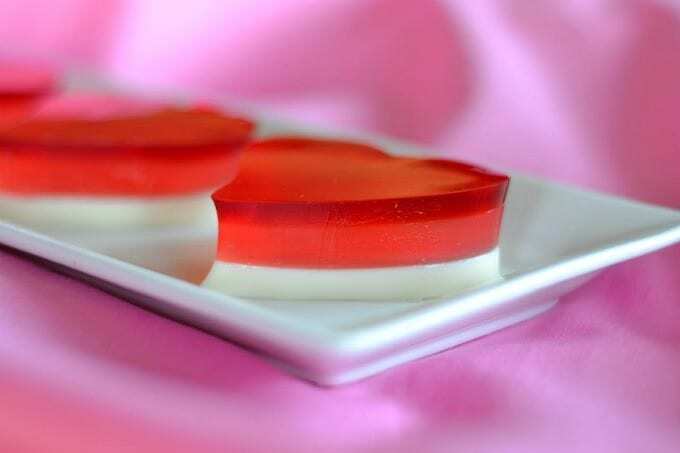 JELL-O Valentine Hearts – a sweet three-layered gelatin dessert that will be fun for the sweetheart(s) in your life! Can you believe Saturday is Valentine’s Day?? How many more shopping days do we have until Christmas? Easter’s just around the corner, too. I keep seeing those Reese’s Peanut Butter and Cadbury Creme Eggs in the stores. You’ll be pleased to know that I’ve been good and haven’t purchased either of them yet. I don’t know how much longer I’ll be able to hold out though, especially on the latter. Prepare a 9 X 13-inch baking dish by spraying it with cooking spray. Wipe with a paper towel. This will remove the excess, preventing the spray from affecting the flavor. Mix 1 cup of boiling water with the sweetened condensed milk in a medium bowl, until dissolved. In a small bowl, place 1/2 cup cold water and sprinkle 2 packets of the unflavored gelatin over the top. Let it stand for 2-3 minutes, until the gelatin looks grainy. Add 1/2 cup boiling water to the bowl and stir until gelatin dissolves completely. Add this mixture to the condensed milk and stir to combine. Pour into prepared baking dish and chill in refrigerator for 45 minutes or until set. Meanwhile, prepare the watermelon gelatin by pouring one cup of water into a small saucepan and sprinkle the 2 packets of Knox gelatin onto the water. Allow to sit for 1 - 2 minutes. Heat on low while stirring constantly until gelatin dissolves. This should take about 5 minutes. Remove from heat and add the 1 package of watermelon Jell-O. Stir until dissolved.Add the second cup of water and mix. Gently pour on top of the white layer. Refrigerate for 15 minutes. If using a white layer in between the watermelon and cherry JELL-O, now is the time for that! You'll refrigerate this layer for 15 minutes. Pour one cup of water into a small saucepan and sprinkle the 2 packets of Knox gelatin onto the water. Allow to sit for 1 - 2 minutes. Heat on low while stirring constantly until gelatin dissolves. This should take about 5 minutes. Remove from heat and add the package of cherry Jell-O. Stir until dissolved and add the second cup of water. Gently pour on top of the watermelon or white layer, and refrigerate for 15 minutes. 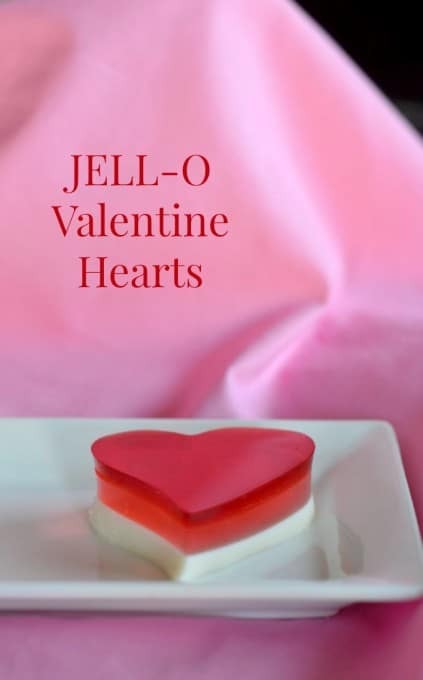 Press heart shaped cookie cutters into the JELL-O. I found I was able to make more hearts by placing one right side up and then one next to it upside down - uses less space. Using a metal spatula, gently remove them from the pan. To help with the removal, spray the spatula as well with cooking spray and wiping that with a paper towel. 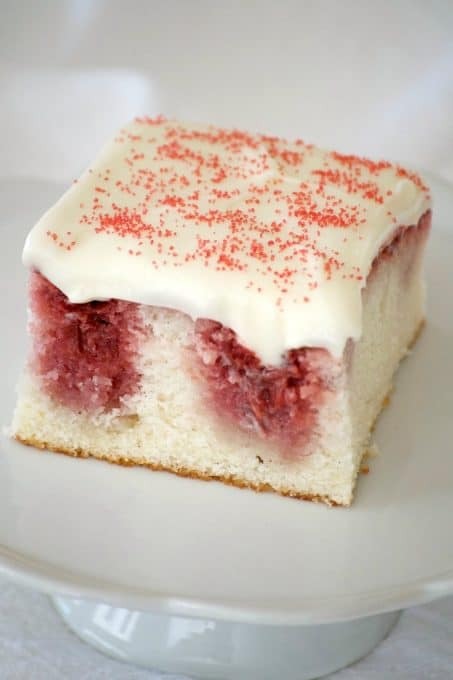 NOTE If you want to a white gelatin later in between the watermelon and cherry, just pour one cup of the white gelatin into the bottom of the pan for the first layer and set in the fridge for 20 minutes. 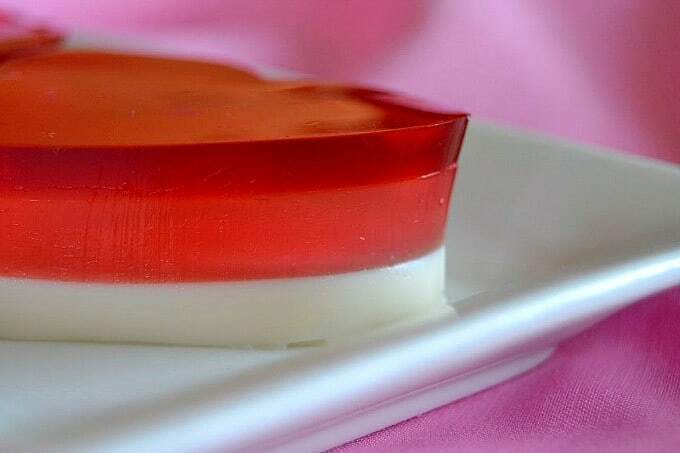 Then, gently pour the second cup of white gelatin over the watermelon layer and refrigerate for 15 minutes before topping it with the cherry JELL-O. I rate everything I make on a scale of 1 -4 and these JELL-O Valentine Hearts earned 4 rolling pins! 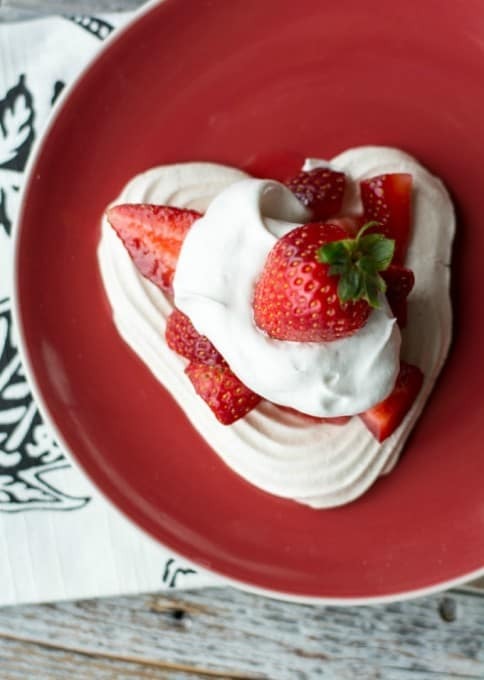 These are going to be such a great treat on Valentine’s Day. They aren’t the typical candy or chocolate, so it’s a nice change and what kid 0r adult for that matter doesn’t like JELL-O? They’re easy, fun and yummy. If you want to make them with vodka, just substitute the second cup of water with either plain or flavored vodka in the watermelon and cherry layers after adding each gelatin. When you make them, I’d love to see a picture! Tag us with #365daysofbaking on Twitter, Facebook, and / or Instagram!